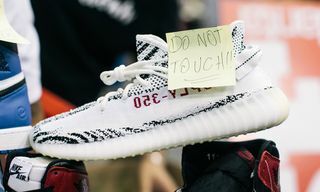 This past Friday in Paris, Kanye West’s fashion team once again set up shop as part of the French capital’s fashion week to showcase the YEEZY project’s latest collection to the world’s best retailers. 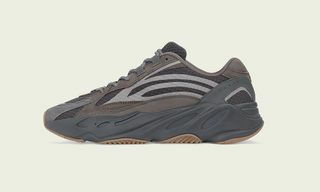 And just like during YEEZY Season 1, our local ear-to-the-ground was able to shoot some of the collection’s highlights, as well as provide some early pricing information. 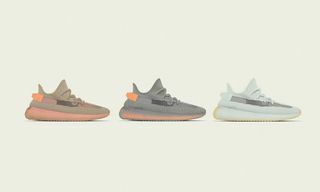 The color story, shown extensively in our YEEZY Season 3 coverage, remains on point, with a few brighter colors livening up the otherwise muted, washed-out palette. The YEEZY line’s signature muddy, earthy hues are accompanied by soft orange, red and yellow – which we imagine will be among the most hyped items of the Fall/Winter 2016 season. The quality is as solid as ever, with a few new materials and finishes finding their way into the lineup. While YEEZY Season 2 was much smaller than the project’s debut collection, YEEZY Season 3 is much bigger. The line boasts a full selection of men’s and womenswear, alongside accessories and footwear. The footwear goes beyond the adidas-produced YEEZY Boost collection and includes Italian-made boots in several colorways, crafted with butter-soft premium leathers. The fleece pieces are very much on-point, and have a rough, firm touch to it – much like Supreme’s Canadian-made sweaters. It’s also exciting to see a strong selection of outerwear in Season 3. From a series of dope shearling coats to waxed cotton down jackets and faux shearling-lined canvas pieces, the season’s outerwear offering is wide – and strong. Camo also makes its way back into the collection. YEEZY created its very-own patterns for Season 3, which are a little bit more abstract than those used previously. 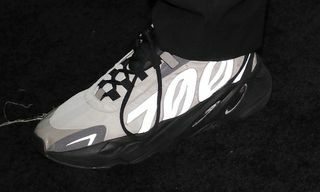 Another highlight were the motorcycle pants seen on Kanye in the French Montana “Figure It Out” video production that emerged over the weekend. #KanyeWest was spotted with #IanConnor wearing #YeezySeason3 #gloves, #pants and #boots at #Givenchy F/W 2016 show. Go to UpscaleHype.com for more info and pics. Above you’ll see Kanye wearing one of the collection’s waxed cotton down overcoats with motorcycle gloves and a garment-washed hoodie – also from the collection. 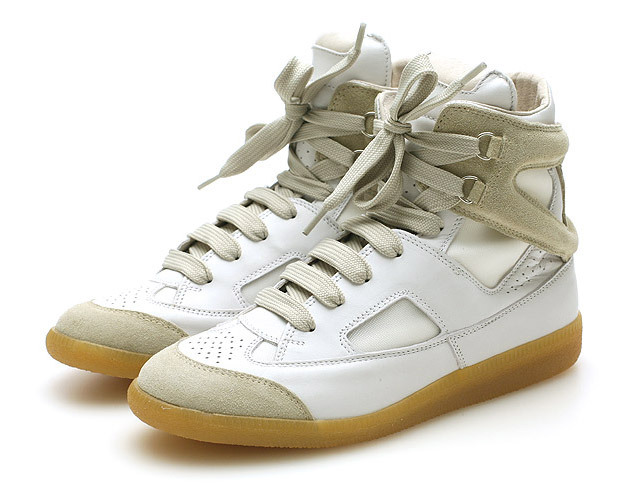 Worth noting is a new footwear silhouette, which bares a striking resemblance to Maison Margiela’s high-top sneaker. There’s also a new, beefed-up version of the 950 Duckboot – tentatively dubbed the “Survival” boot. Now, let’s get to the part you’ve been waiting for – YEEZY Season 3’s pricing. Kanye has long been speaking about lowering YEEZY’s prices, and you’ll be pleased to hear that now it’s finally happening. The collection is by no means cheap, but its pricing has dramatically decreased and we can say that for the quality the brand delivers, it is absolutely worth it. 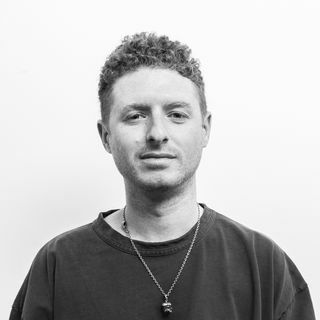 Crewneck sweaters and hoodies retail at $370, oversized t-shirts in premium fabrics will go for around $200, and faux shearlings are priced between $600 and $700. The pants start at $250 and go as high as $450. Washed canvas bags, which include totes and backpacks in various sizes, are priced between $300 and $400. If you remember, YEEZY Season 1’s prices were much, much higher – too high for most. Jackets ranged from $1,750 up to nearly $4,000. For YEEZY Season 3, the only pieces to break the $1,000 mark are the real shearling and the heavy down outerwear. The standout yellow shearling seen above will set you back $1,450. All in all, we’re happy to report that YEEZY Season 3 is by far the strongest season yet by Mr. West, and that the pricing is finally in line with our expectations – at no compromise in quality.